Who knew that Mojitos aren’t just for drinking? I definitely didn’t. That was until I discovered a refreshing new range created by The Body Shop– a zingy cocktail treat that doesn’t come with a hangover (and that radiates your skin rather than draining it)! 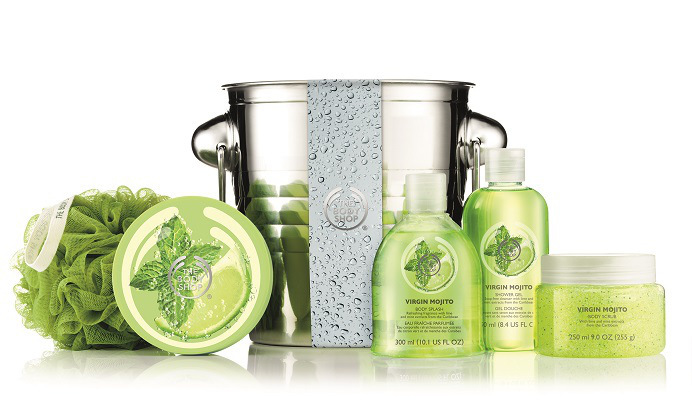 Their new special edition Virgin Mojito body care range has dropped right in time for summer. Helping to leave your skin feeling fresh and smelling delicious. Described by the creators as an irresistible blend of the extracts of zesty lime and fresh, crushed mint from the Caribbean, I couldn’t agree more. So as the heat turns up, you can cool down. As much as I’m a health freak- it’s OK, I admit it- anybody who knows me at all, knows that I love a cheeky cocktail or two. So I was beyond excited to come across this little beaut of a range. There’s the shower gel, scrub, body butter, splash (the fragrance) and sorbet. Sorbet being the light moisturiser, which I just couldn’t resist. It’s the yummiest body care collection that I’ve found in a while and smells just like the real thing. The only problem? I’ve been craving a mojito ever since… That might not be a bad thing though, right?